Located on the banks of the St. Lucie River, Downtown Stuart brims with activity daily. With over 70 gift shops, restaurants and clothing stores, this quaint downtown area sees locals and visitors alike who wish to enjoy a small town warmth coupled with all of the luxuries of a city. 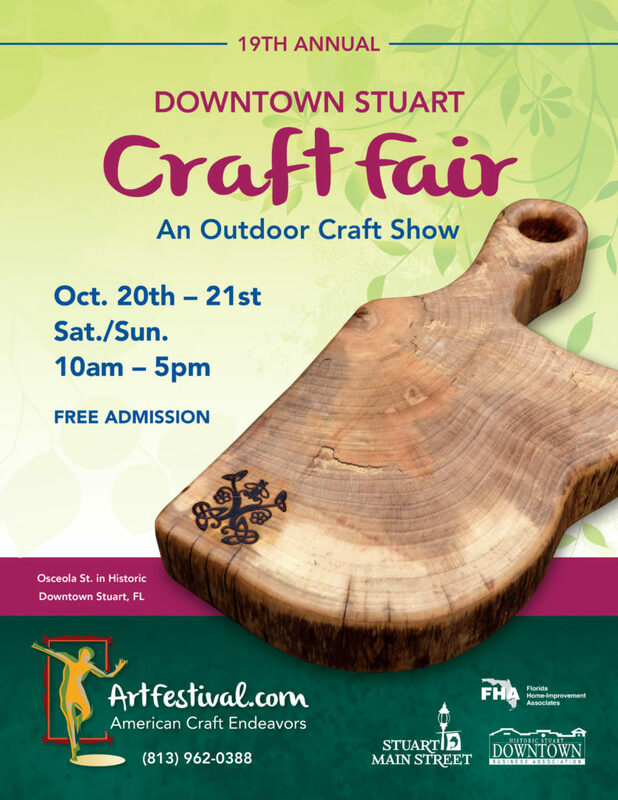 The Downtown Stuart Craft Festival is nestled in the perfect location! From photography, paintings, sculpture, jewelry and more showcased from local and traveling crafters, your visit to Downtown Stuart is promised to be a feast for the senses. This spectacular weekend festival is not to be missed.